Very Good. The Man Who Folded Himself by Gerrold, David, 2003-06-26. Trade paperback (US). Glued binding. 127 p. Contains: Illustrations, black & white. Very Good. Man Who Folded Himself by Gerrold, David, 1973-11-26. Good. Man Who Folded Himself by Gerrold, David, 1973-11-26. Very Good. 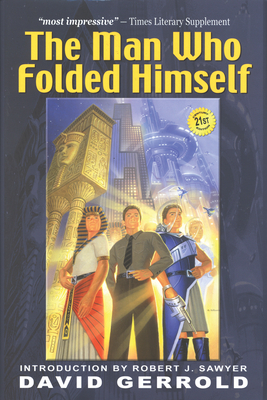 The Man Who Folded Himself by Gerrold, David, 2003-07-01. Glued binding. Paper over boards. With dust jacket. 127 p.
Fair. Listed "acceptable" as is missing the dust jacket. Corners lightly bumped. Free from marks, highlighting, and dogears.